Beto Responds To Undercover Veritas Video; Insists Campaign "Above Board"
Rep. Beto O'Rourke responded to allegations by Sen. Ted Cruz (R-TX) that O'Rourke staffers have been illegally funneling campaign funds to help transport Honduran nationals traveling in the Central American caravan headed towards the southern US border. In Friday comments, Cruz cited an undercover sting by Project Veritas in which O'Rourke campaign staffers Dominic Chacon and AnaPaula Themann appear to admit to facilitating helping transport migrants to airports and bus stations. 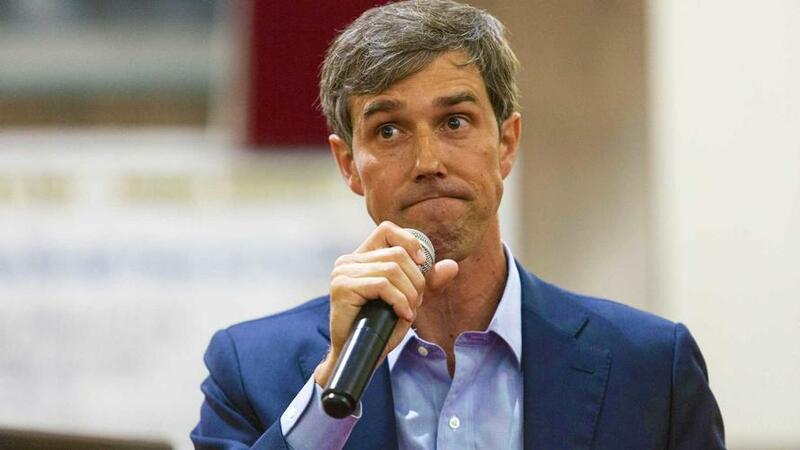 O'Rourke responded, telling the Dallas Morning News "We're looking at this, but anyone who is trying to politicize this is trying to win an election base on fear. I want to make sure that we're focused on the issues that matters most to Texas." "I am comfortable that the campaign is above board, that everything is being reported to the FEC and I'm going to also make sure that I understand that's going on, but from everything I've heard, that's the sum of it," added O'Rourke. James O'Keefe of Project Veritas challenged O'Rourke on Friday to "make the records public." Staffers for O'Rourke were captured on undercover video telling O'Keefe's undercover operatives amontg other things "Don’t ever repeat this and stuff but like if we just say that we’re buying food for a campaign event, like the Halloween events…” adding "I just hope nobody that's the wrong person finds out about this." Perhaps sensing that the Veritas video would cement a victory for recent Trump ally Ted Cruz, O'Rourke picked up an endorsement Friday from former CIA Director, John Brennan, who tweeted: "I believe Beto O’Rourke is the type of individual Texans need in the U.S. Senate to represent their best interests. He has the integrity, intellect, and character that is in short supply in Congress."